With college graduations come first career jobs, and with first career jobs comes enough money to upgrade your car. As much as you love the beater that got you through college, maybe it’s time to get something safe and stylish, all on a great budget. Our Winston-Salem used car dealership has some great picks for the fresh-faced aspiring entrepreneur! Honda models have proven to be resilient, as evidenced by how many of them are still on the road today! One such vehicle is the personable and efficient Honda Fit. Don’t be fooled by its minuscule appearance: this compact hatchback has plenty of rear legroom and cargo room. Whether you’re headed for a night out or a week away with your friends, the Fit can accommodate you. Powerful, spacious, and efficient, a used Ford Fusion is an excellent choice for the college graduate on the move. Make a long commute a total blast at the helm of a commodious cabin with plush seats. The Fusion’s handling is famously phenomenal, and we’re confident that you’ll turn heads with its exterior design inspired by Aston Martin. A test drive will surpass the expectations set down for any first-time used car buyer in Winston-Salem! Celebrate smooth styling and incontrovertible refinement in a used Volkswagen Jetta. It’s a great pick for a grad who wants to treat themselves to a higher-end ride without breaking the bank! Complete with Volkswagen’s distinctive style, the Jetta is the perfect compliment to your new commute. It’s time to move on to the next step in life. Do so with a well-designed companion you can rely on for years to come. To check out these and other models, visit us for a test drive! Whatever your needs, we’ll be happy to meet them. You love your dog and wouldn’t even think of going on a trip somewhere where your loyal friend couldn’t be by your side. Of course when you’re looking for a new-to-you car, the same logic applies! 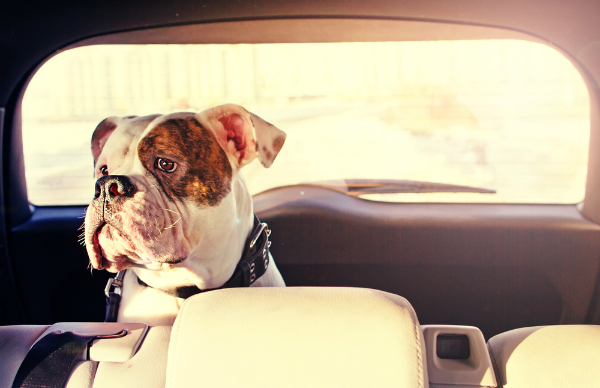 Find a vehicle that’s equipped to bring your best friend along for the ride at our used car dealer in Winston-Salem. Here are a few things to look out for, and some suggestions about what fits the bill! Ample cargo space is crucial when you’re bringing your pet along for the ride. Whether you’re carting around your dog’s stuff for a long haul or simply going on a trip to the dog park, generous rear room with plenty of air, be it through a window that opens or a climate controlled cargo area. The optimal setup is a space with flat sides (no spare tire kept in it) and a method of securing your dog’s harness or carrier. Station wagons, such as the hardy Subaru Outback, or lower SUV crossovers such as the Ford Edge are great choices for pet owners, because in addition to having plenty of space, they’re low to the ground and easier for Fido to jump in. However, we understand if you need a pickup truck to handle everyday tasks. The Chevy Silverado is a great pick for a pet-friendly pickup, as it is equipped with easy-to-clean seating and all-weather floor mats. Once you’ve picked out the vehicle that passes your high standards and your canine’s comfort test, don’t despair on how to pay for it. Simply apply for an auto loan right here in Winston-Salem and we’ll be happy to work out a plan that accommodates your needs. 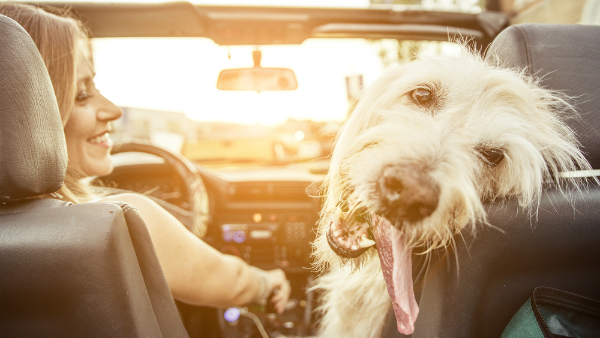 Cutting corners when it comes to safety is never a good idea, but if you can’t stand the thought of something happening to your pup, read up on the safety features of your favorite vehicles. Crash test ratings and a review of a vehicle’s tie-downs, latches, and other securement methods will prove useful when determining whether or not it’s suitable for your canine companion. It’s true that we believe that everybody has the right to ride. If that includes your pet, so be it! 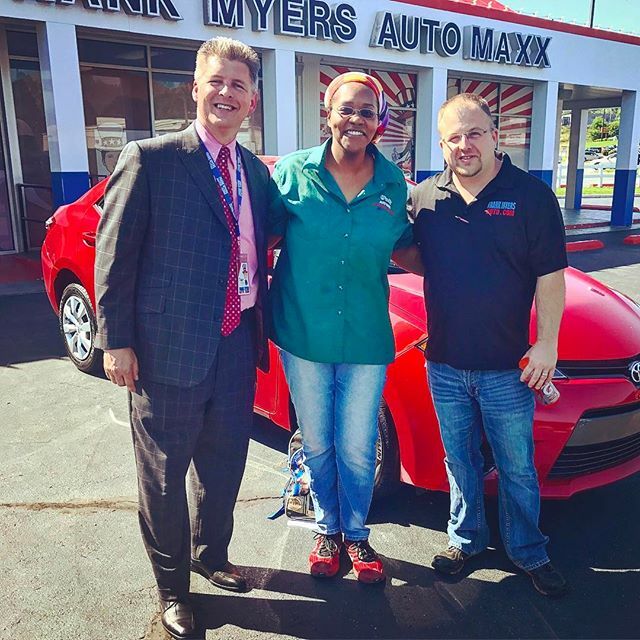 Contact Frank Myers Auto Maxx today and talk to us about what we can offer you and your best friend. It’s not uncommon to experience alignment problems at some point as a car owner. This means that when you have your hand off the wheel, the vehicle pulls, even slightly, to the left or the right. You can count on our Winston-Salem auto repair center to know exactly what your vehicle needs to get back on the right track. To get this issue fixed, you get an alignment. When you cover only the front two wheels, it’s a front end alignment. This is not a problem with new vehicles, as the wheels are aligned and tested carefully at the factory. However, there are driving conditions that may adversely affect alignment, leaving you with a car that can’t drive straight over time. This results in tires with uneven wear, which leads to replacing them sooner than if you were driving a properly-aligned vehicle. So what causes an alignment issue? The answers vary, but there are some common ones. Driving in very bad weather is one. Driving down a poorly maintained road or hitting potholes are two more. Unfortunately, the three are commonly related, as snow plows tear up roads that may not be patched up immediately. Fortunately, with regular tire inspections, our Winston-Salem experts can catch problems early on and save money down the line with our auto repair specials. You’ll notice a difference in the way your vehicle drives. It will be smoother, with more responsive handling. Additionally, when your wheels are straight, cruise control is usable again! That results in a safer and more confident ride for all. Contact Frank Myers Auto Repair today to receive professional service and the front end alignment that will get your car feeling great again. Your safety is your top priority, so we encourage you to make an appointment whenever you can! Maybe not everyone wants to be Batman, but everyone wants the Batmobile. And if you can’t drive one, wouldn’t it be fun to build one? Chevy recently put together a life-size Batmobile out of Legos to celebrate the upcoming LEGO® Batman Movie, and at our Winston-Salem used car dealer we’re thrilled to showcase models from a brand so dedicated to ingenuity! The LEGO® Batmobile is an impressive 17 feet long. Admittedly, you won’t find a Chevy model that big, but that doesn’t mean they’re not spacious! Sedans such as the Impala and the Cruze have made a name for themselves based on their roomy dimensions and lush appointments. What they lack in grappling hooks they make up for in size and power. Though Batman tends to work alone, Chevrolet knows that there’s power in numbers, and so do we. We have a fleet of used Chevy models on our lot that are dependable road companions. Our website makes it easy for Winston-Salem shoppers to apply for a car loan in the comfort of their Batcave! Much like Batman, your Chevy will always be there when you need it. These are cars, trucks, vans, and SUVs that are built to thrive, and with routine maintenance, they’ll last for years to come. You’ll find the perfect used Chevy for you parked on our lot, because there’s something for everyone in their model lineup! We just have one last question: does it come in black? Contact us today and talk to us about our selection of used Chevy models. We can’t wait to hear from you!